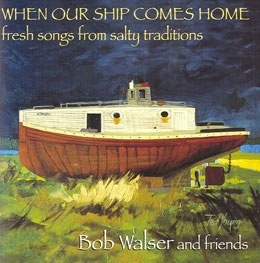 Sam Hazel learned this song on Ohio River steamboats working between Louisville, Kentucky and Evansville, Indiana. Source: Recorded in 1939 by Herbert Halpert under joint sponsorship of the Library of Congress and the WPA. Recording now held by the Archive of Folk Culture at the American Folklife Center at the Library of Congress, Washington, DC. AFS 3096 B2. Perhaps you’ll miss me when I’m gone. Look on this ring, love, and I’ll be there. Has caused this boy so far from home. So merry I go marchin’ on. And settle down with the girl I love. All with my little tender wing. I’ll weep and pass my troubles by.